Will a multivitamin tablet benefit me? Is it vital for my health? Will it help me lead a better lifestyle? Will it benefit my hair, skin, nails and internal systems? You might have often seen people casually popping multivitamin pills. While in the case of some, multivitamins are doctor-recommended, others make it a casual habit just by being influenced. This gradually leads to ignorant pill popping without considering why you’re doing so. Don’t you agree? So, What Are Multivitamins and Multivitamin Pills? Multivitamins are those nutritional elements which we are supposed to consume daily through our diet. A multivitamin pill contains dietary supplements such as vitamins, minerals and some nutritional elements. Multivitamins are recommended to those with poor nutrition. It has been scientifically proven that multivitamins do not make much of a difference to people who receive an adequate share of nutrition on a daily basis. In fact, popping multivitamins for no reason comes with potential health risks. Multivitamins are often recommended by doctors to children, adolescents, elderly people, menopausal women, pregnant women and diabetic patients. Multivitamins pills offer the necessary and extra dosage of vitamins, minerals and nutrition needed during periods of growth or illness. In order to be healthy, functional and alive, the human body requires a daily dose of vitamins and minerals as they fulfill a number of roles in the body. When our regular diet is based on unhealthy choices, we do not get our fair share of multivitamins. And here’s where multivitamin pills come into play. However, the excessive marketing hype surrounding multivitamin pills has lead to incessant popping. 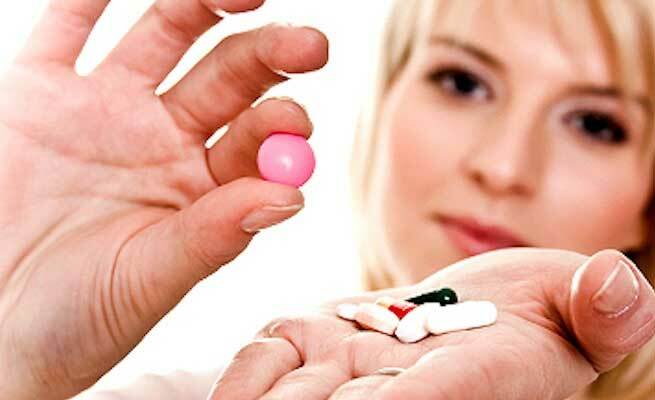 Let’s explore the truth about multivitamins pills. Most multivitamin pills do not contain the necessary quantity of nutrition required by the body and therefore, you’re overpaying for a product that’s not living up to its promises or its hype. Multivitamin pills do not help you lose weight, increase stamina or build muscle; they’re not magic pills. Some multivitamin pills are known to induce side effects such as nausea, indigestion, kidney stones, high blood pressure and fatigue. Studies conducted on certain multivitamin pills have shown that their continuous consumption over long periods can lead to an increased risk of breast cancer and skin cancer. Consuming large quantities of multivitamin pills increases the levels of toxicity in the body which can be quite lethal. So, does this answer your question? Do multivitamin pills work? But, do you need them? Well, if your diet does not match up to the required standards, then you should. However, if your diet is just fine or you can alter it to be just fine, you most likely do not need those pills. Remember that the best way of supplying your body with vitamins and minerals is consuming it directly through food. And, won’t you like to break that pill popping habit? If you have been popping those multivitamin pills, you’re obviously doing so to improve your health or ward off illnesses. But if you haven’t consulted a doctor about the nutritional supplements you’re consuming, you need to stop right there in your tracks, solicit professional medical advice and act as recommended. After all, your health is your primary concern.